When choosing wedding ceremony songs, pay particular attention to the lyrics as well as mood. The song should be romantic without being schmaltzy and have a reverent, more serious feel than songs played at the celebratory wedding reception. The bride and groom will almost certainly enjoy the wedding singer's interpretation of these 10 songs (in no particular order) about love and commitment. "Ave Maria" is an all-time wedding favorite, perfectly suited for the reverence of the ceremony, but a little too stuffy for the reception. Interpreted today as a prayer to the Virgin ​Mary for protection (suited for newlyweds), the song is often sung in Catholic churches and would, therefore, be most suited for weddings taking place there. Oddly enough, though, Schubert originally wrote the piece as part of his Opus 52, which contains seven songs from Sir Walter Scott's epic poem "The Lady of the Lake." The scene depicted in "Ave Maria," originally known as "Ellen's Third Song," is actually of the lady asking for protection after she escapes with her exiled father from battle. Sweet, huh? Originally sung by Paul from Peter, Paul, and Mary, "Wedding Song" is easy to learn and appropriate for beginners—which isn't to say that's the type of talent you want at your wedding. On the contrary, the relative ease means that an experienced singer can play with various expressive interpretations of this classic dedication to love. With romantic lyrics like "A man shall leave his mother and a woman leave her home, and they shall travel on to where the two shall be as one," this song rings true for young lovers tying the knot for the first time. Although Elvis Presley made "Can't Help Falling in Love" famous with his cover, it was actually Hugo Peretti, Luigi Creatore, and George Weiss who penned this beautiful hit. With lyrics like “take my hand, take my whole life too, for I can’t help falling in love with you," it's no wonder it's one of the most popularly requested wedding songs on this list. Several repeated choruses and a simple melody make the lyrics easy to memorize, making it a solid choice if you've had to find your singer at the last minute—or if the bride or groom told the singer a little too late that the song she chose wasn't quite right. "Time After Time" is a jazz ballad with a classic feeling appropriate for all but the most formal of weddings. Not to be confused with Cindi Lauper's hit of the same name, this 1947 ballad has stood the test of time. Artists including Sarah Vaughan and Frank Sinatra have since covered the silky jazz standard. More suited for a casual, outdoor wedding ceremony, "Our Love Is Here to Stay" is another popular jazz standard made most famous by Ella Fitzgerald's version. The track made its original debut in the 1938 film "The Goldwyn Follies," but wasn't popularized until Gene Kelly performed it in the 1951 hit "An American in Paris." The song was George Gershwin's last composition, and his brother, Ira, later wrote the lyrics as a dedication to him. The truly sweet sentiment that the love between brothers would endure the test of time can surely be transferred to the romantic love that will also endure forever in the vows of a wedding ceremony. Performed twice in the 1981 Broadway musical "Merrily We Roll Along," the hit track "Not a Day Goes By" expresses the joys and pains of unrequited love. Still, with lyrics like love "can't get much better much longer, but only gets better and stronger and deeper and nearer and simpler and freer and clear," the song serves as a wedding classic. "Till There Was You" is a glorious tune with lyrics expressing how the singer’s eyes were opened to the beauty of the world upon finding love. Shirley Jones famously performed the song in the 1962 film adaptation of "The Music Man." With sweeping vocals, Jones sings of how "There was love all around, but I never heard it singing. No, I never heard it at all, till there was you!" What a beautiful sentiment, and even if your ceremony doesn't provide that crescendo of strings roaring in the background, this selection, given the right wedding singer, will bring the crowd to tears. "Unexpected Song" might be the most exciting, joyous song in this list. The lyrics repeat several times, and the accompaniment builds as the song goes on. A real show stopper when sung well, this hit comes from Andrew Lloyd Webber's 1985 Broadway smash "Song & Dance." 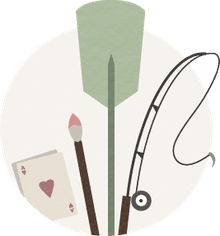 A simple celebration of love, lyrics like, "As we talk he runs his fingertips all over," express the joys found in the little things of a romantic relationship. "'O Sole Mio" is a favorite often heard in Italian restaurants and concert halls. The song's translated lyrics express how the singer’s love shines even brighter than the sun. Originally written in 1896, the song is meant to be performed in its native southern Italian Neapolitan language. Classically romantic, the melody of the song swoops and sweeps audiences around the globe to tears. 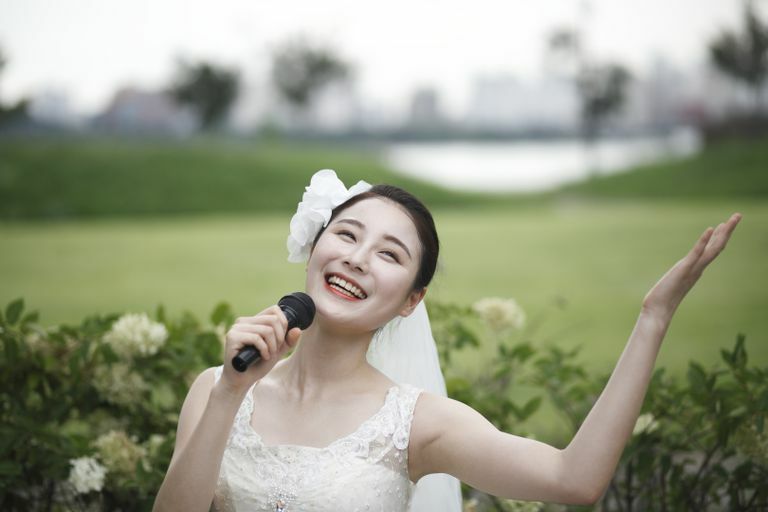 Even if you can't understand the language, the right wedding singer will move the audience with the feeling. Many composers have put the song to music, but favorite settings include Franz Schubert’s and Fanny Mendelssohn’s. Schubert’s is breathtaking if sung well, but difficult as it requires an engaged, reverent sound. Fanny Mendelssohn’s version is just as beautiful with a more innocent quality and is far less difficult to sing.